Marketing measurement just isn’t measuring up. As the old saying goes, if we’ve put a robot on Mars, why can’t we figure out whether or not our marketing investments are paying off? There’s a lot of space between the reality of what we could do and the vision for where marketers would like to go. We know we’re not there yet. Why? User-level data collection, measuring beyond the “buy” part of the customer journey, and linking anonymous customer data to known customer data – much less loyal customers – are all still sticking points for marketers. The obstacles are like space debris: impressive, but certainly not insurmountable. To make it to Mars, you’re steering the rocket around disconnected, siloed data, while still trying to navigate between IT’s priorities and your own. Then, you’re struck by the lack of interconnectivity of the tools in your toolbox. But hope isn’t lost. The marketing clouds are helping marketers steer around the space debris – and trying to solve for Total Marketing Measurement – in unique ways. They differ in how they’ll accomplish their vision for individual, user-level data collection that connects all touchpoints across the customer relationship using anonymous and known data. One line of thinking has clouds augmenting their products with digital marketing analytics or multitouch attribution (MTA) tools. 2017 saw a run of acquisitions for many, including Oracle, which purchased Webtrends Infinity, and Nielsen, which acquired Visual IQ. Adobe continues to double down on its product, emphasizing architectural improvements to Experience Cloud at its Summit earlier this year. These trends also point to customer data unification, as is the case for SAP’s acquisition of Gigya, a customer identity and access management system. A second rocket of thought, if you will, takes on a different dimension. Here, we see providers leapfrogging the analytics piece, and instead shooting straight to putting data into the operational theatre. That is, these providers are focusing on business user-led data management and activation and bypassing the steps to build out analytics tools. They offer marketers the potential to discover new worlds in their marketing data. Still, there’s great promise for marketers in how these tools will help them not only look back at what happened, but also look ahead to figure out what will happen. Take Salesforce. The company acquired Mulesoft, an integration-as-a-platform service provider, earlier this year, aiming to integrate data across its product components and better connect its cloud to complex internal client data systems. More recently, they announced their intent to acquire marketing dashboard provider Datorama. Datorama provides marketer-friendly data management tools, as well as an easy-to-use interface for data delivery and visualization – all with the goal of delivering data to key stakeholders in the organization to inform their decision-making. If Mulesoft was its answer for IT to connect data, then Datorama is its answer for marketing users to do the same. 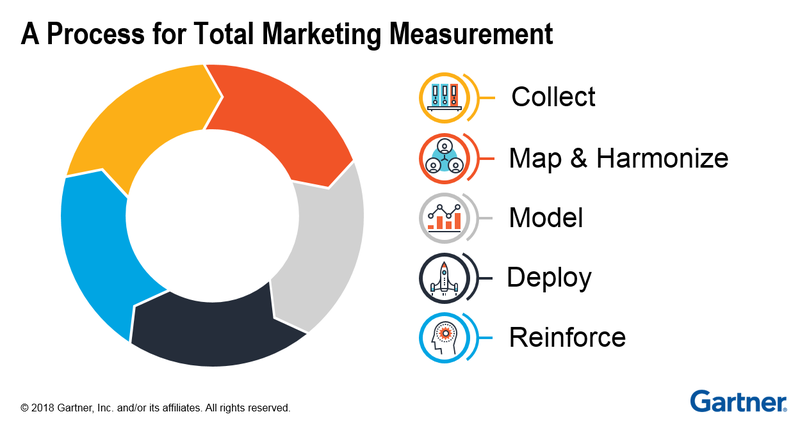 With the Datorama acquisition, Salesforce appears to be getting close to Total Marketing Measurement. It offers marketers further potential to take action on their data – and determine what will happen in the future, rather than always looking back. And, while both companies led with data integration as the top benefit of the impending tie-up, some industry chatter picked up on the combination of Salesforce’s Einstein and Datorama’s Genius AI capabilities.To return to our “Mars shot” from earlier, Salesforce appears to be entering the planet’s orbit range – and may have skipped around a couple planets along the way. To get there, Salesforce has to solve an identity resolution problem. There’s still some work to be done to power true people-based marketing, unifying first-party customer data across its channels and devices (something that Salesforce SVP Liam Doyle hinted at during this year’s Connections conference). The NASA Voyager folks used to say that their mission was like hitting a hole-in-one in New York if they were trying to make the shot from Paris – certainly not impossible, but the odds are quite long. With its acquisition today, Salesforce may have made the odds of such a shot a heck of a lot more reasonable, but it remains to be seen whether marketers will benefit from the technology. Thanks to my colleagues, Benjamin Bloom and Bryan Yeager, for their contributions on this post.